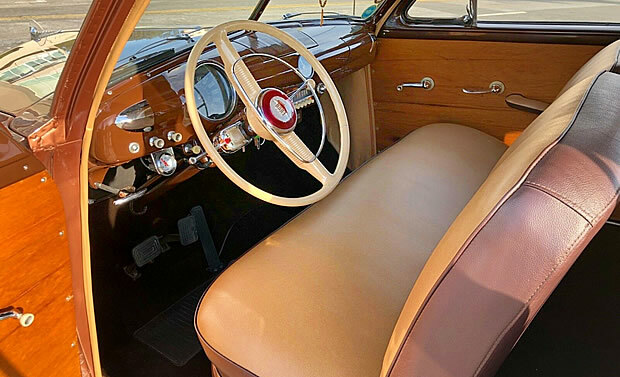 Woodgrained station wagons or "Woodies" have been proved popular with collectors and classic car enthusiasts over the years and none more so than authentic, true woodies. 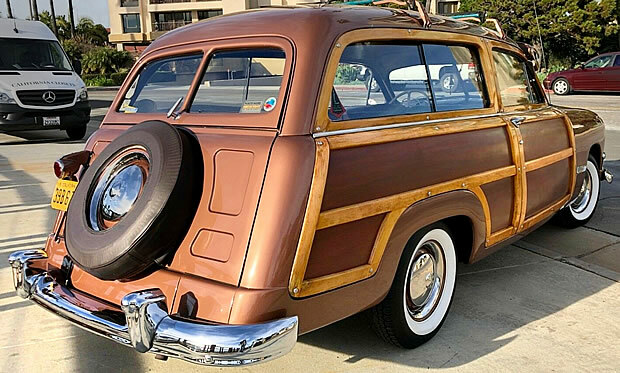 The 1950 Ford Country Squire is one of those cars. The Country Squire was part of the top-of-the-line Custom Deluxe Series. In fact, initially, it started life just as a Custom Deluxe Station Wagon and the sales brochures carried that name. The Country Squire name came a little later in production. It was a name that was to last 40 years until it was discontinued in 1991. Although Ford had switched to an all-steel frame in 1949 the bodies were still using real wood. Laminated maple frames were attached to the wagon's steel body panels. By 1952 they were using decals. The move away from real wood was inevitable as they were far more expensive to build and protection from the elements was a far bigger problem. The 1950 Fords were very similar to the 1949 models with subtle changes such as new parking lights below the center bar of the grille, fuel filler door replacing the the external gas cap, redesigned hood ornament, new horn ring, better door latches and various other external improvements. It was enough for proclaim, "50 WAYS NEW for '50!" in their sales literature. The wood was plentiful in the interior too and, as a top model, enjoyed a few refinements. Under the hood power comes from a 239 cubic inch l-head V8 that outputs 100 horsepower. This is connected to a 3-speed manual transmission. 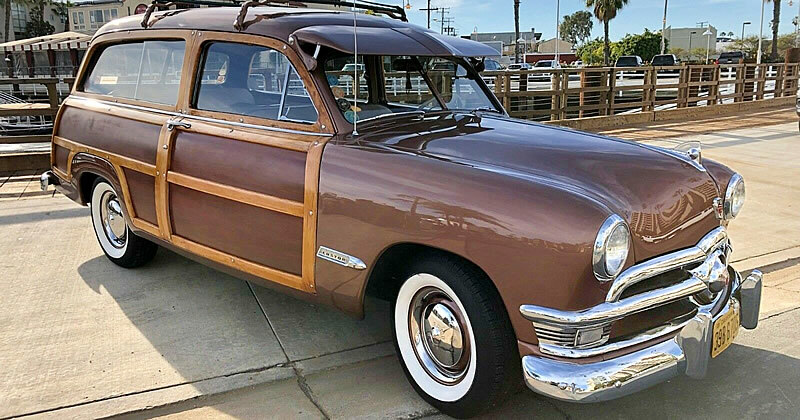 Ford sold 22,929 Custom Deluxe Country Squire Station Wagons during the 1950 model year. Prices started at $2,028 for the six cylinder and $79 more for the V8. Of course, if you wanted a heater that would have cost more. $38 would get you one but you had to pay a little more than that if you wanted a defroster too. The original radio in this car would have set the original buyer back $78.